Here at Stylerite shutters we make your shutters to measure, allowing us to fit almost any shape to suit your window. Here at Stylerite shutters we make your shutters to measure, allowing us to fit almost any shape. 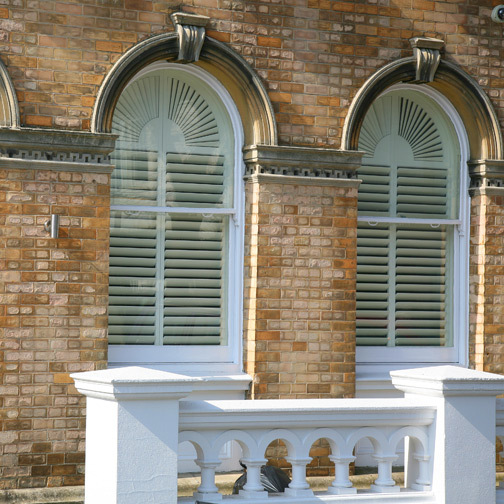 Our custom window shutter experts have many years experience fitting arches, circles, triangles and many other unique shaped windows with bespoke shutters. 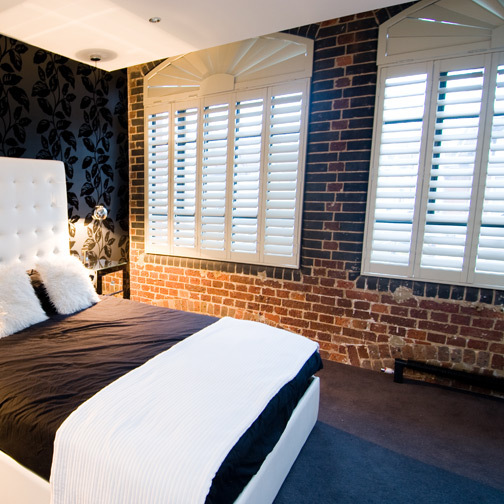 Bespoke window shutters can incredibly enhance a window where curtains or blinds would not, especially when it comes to special shaped windows. Beginning the day your shutters are installed, covering every part of our installation and products for 3 years. Ready to transform your windows? Get in touch with our team today and arrange your free consultation. A custom shape window shutter allows you the opportunity to create something nobody else has for your home. Uniquely shaped windows can be designed to your exact specifications to fit in with the style and look of your home. The bespoke nature of these windows and our expert craftsmen ensure that your shutters will fit in place exactly. Stylerite Shutters supply and install custom shape window shutters to customers in Glasgow, Edinburgh and throughout central Scotland. Wherever you are in Scotland's central belt a member of our team can arrange a visit, at a time convenient for you, to provide a free, no obligation window shutter consultation.